Today is Good Friday, and the day Christians celebrate the crucifixion of Jesus Christ and his death at Calvary. Last Sunday was Palm Sunday and our church choir presented a splendid Easter musical. It was my Sunday to provide the arrangement for our Communion Table. 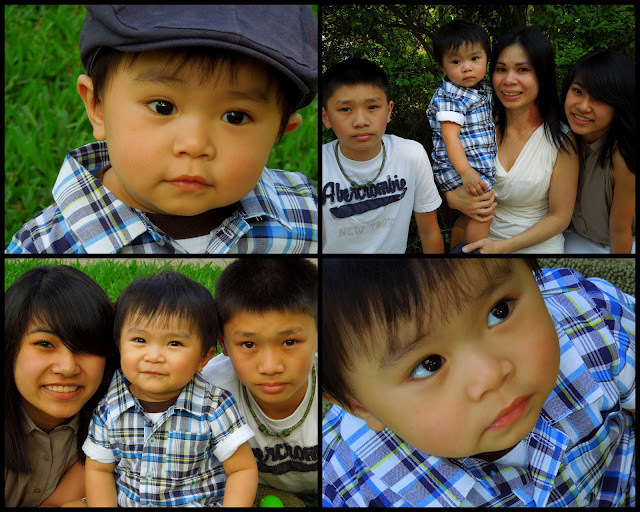 Later Sunday afternoon I had the privilege of doing a "photo shoot" of my Vietnamese family. 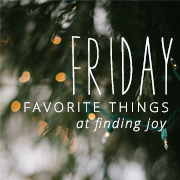 If you have been reading my blog very long then you know about them. I am referred to as their "American Mom." I've never known a harder working couple (one day I will get Le, the Daddy, to agree to be in the pictures) than Amy and Le. They have a nail salon here and it is run like a "well oiled machine." And, can I just say that their mantra is "cleanliness is a MUST." I am so glad I walked through their doors 12 years ago. I not only now have pretty fingers and toes but I have a very special relationship with this precious family. It has been such fun for me to watch An grow into such a lovely, lovely young lady. She was 3 years old when I met them and she is now 15. She is kind, talented, brilliant,a delight and a beauty. It has been a good week and we will celebrate Easter with our Princess and her Daddy and Momma later this afternoon. We're going to hide a few eggs, grill some steaks and make some memories. May you and yours make some special memories as well as we celebrate our risen Lord. That arrangement is beautiful ... and how sweet to use a cross made by your dad. I'm sure he was thrilled and touched. Sounds like you have a wonderful Easter planned. Happy Easter! How nice to see your dad able to GO to church with you! Your flowers are beautiful!! You are very talented. And what a sweet family to be friends with, that is really special! 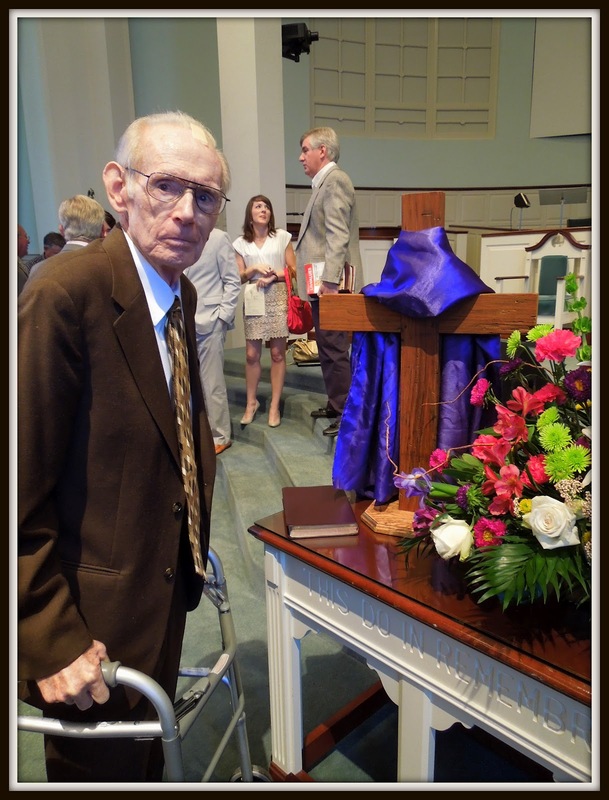 So glad your Daddy was able to make it to church, what a blessing, and he looks well in the picture! Love the pictures...you did do a great job! I am a disaster of a photographer so I am always impressed with quality photos! Have a great Easter weekend! Blessings! What a sweet photo of your dad by the beautiful arrange and cross. Love the photo of the family you are friends with. Hope to see Le one day! Have fun with your Princess and Happy Easter. 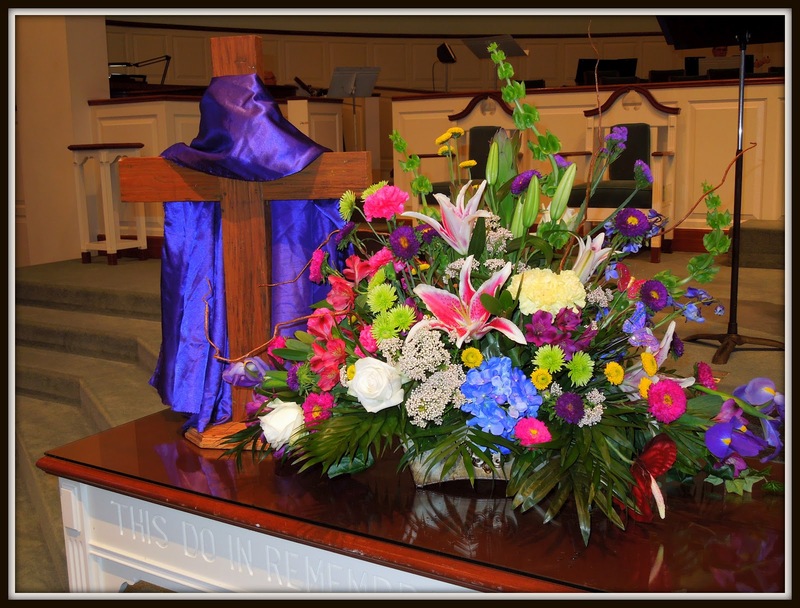 The arrangement is beautiful, and that picture of your dad by the cross he made is precious! What a sweet family. The baby is just a little doll, and the young girl is really a beauty! I have grown quite close to the gals who do my nails too. They are sisters and are just as kind and loving as they can be. My youngest son and his family are on their way here to celebrate his brithday. Let this week-end of celebrations begin...haha. 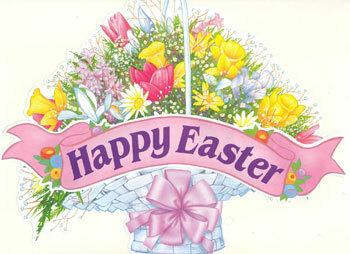 Enjoy your evening, and may your Easter be blessed! Your talk of your Dad and the cross gave me a lump too! Your arrangement is beautiful! Glad your Dad could come to church with you. happy Easter weekend, sweet Lea! that Vietnamese family is so beautiful. 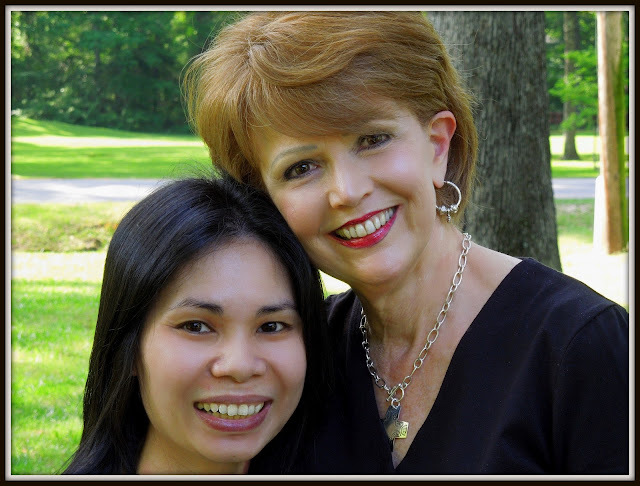 i am so glad the have you for an American mom! The table arrangement was beautiful and I am sure touching for your dad to see his cross on the table as well. My daughter has met a special lady in pharmacy school who is Vietemese. I love talking to this young lady when my daughter brings her home. You are a good photographer! The photos are beautiful! Loved your blog. Have a beautiful Easter! What a beautiful arrangement for the church...what a blessing to see you added your Dad's cross...and to see him standing there, what a joy! What a beautiful arrangement. So thankful you got to use one of your daddy's crosses in it. What a sweet picture of him as well. And you are a wonderful photographer. 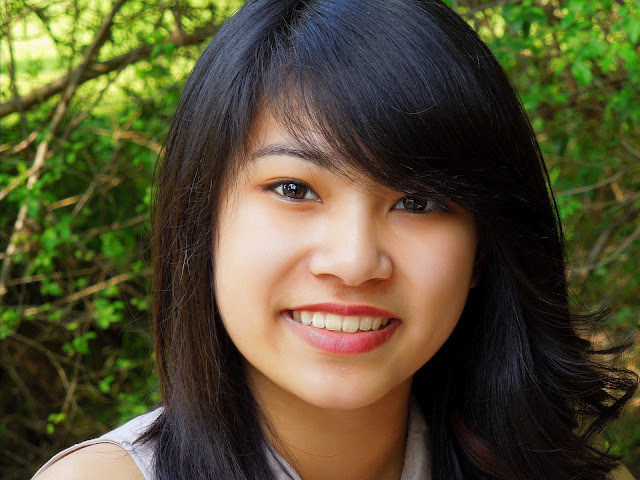 Your Vietnamese family is beautiful!